Heart-shaped Chaser cheese – The Courtyard Dairy. 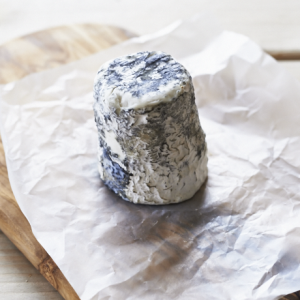 A triple-cream cheese, a classic of the French Parisian Brie style. Extra cream is added to the milk before making the Chaser cheese, ensuring it has a rich, delectable flavour and smooth texture. The Courtyard Dairy sells Chaser at three-weeks old, when it still has a fresh lemony flavour to temper the richness. 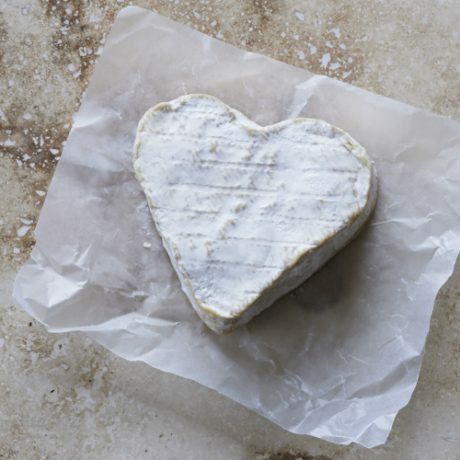 A lovely heart-shaped brie cheese. 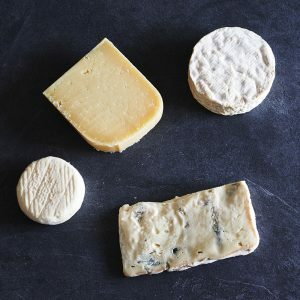 Haydn Roberts makes several of the outstanding cheeses supplied by The Courtyard Dairy. Chaser is based on French cream-enriched cheese (such a Vignotte, Delice or Brillat-Savarin), and sold at three weeks old. In 2013 Haydn left Neal’s Yard Creamery in order to venture out on his own. Borrowing equipment, and renting a nearby dairy in Worcester, he started to tinker. He soon developed the outstanding Amalthea goats cheese, then taking over a nearby dairy in which to work in (Lightwood Cheese). Here he carried on making their existing cheese range as well as creating even more new inventions himself. 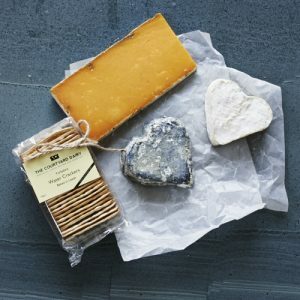 One of Lightwood’s most popular cheeses was Chaser – and it now exists in this heart-shaped form!